Combat is an essential part of the Waylanders, and it’s one of the most intricate mechanics in the game, because of the important tactical weight it carries. In this case, there are no dice for short range (you cannot attack in that range), the middle range has an automatic Hit and for long range you will roll two Combat dice. When you attack a tile, you attack all the characters in that tile, although each one will defend individually from the attack. The blue squares to the right are the dice to roll in defense. 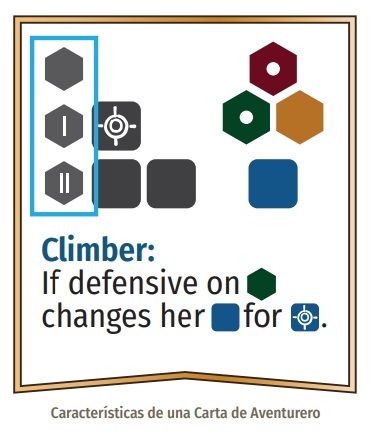 In the image above, the adventurer rolls 1 defense die (blue square below the movement values). 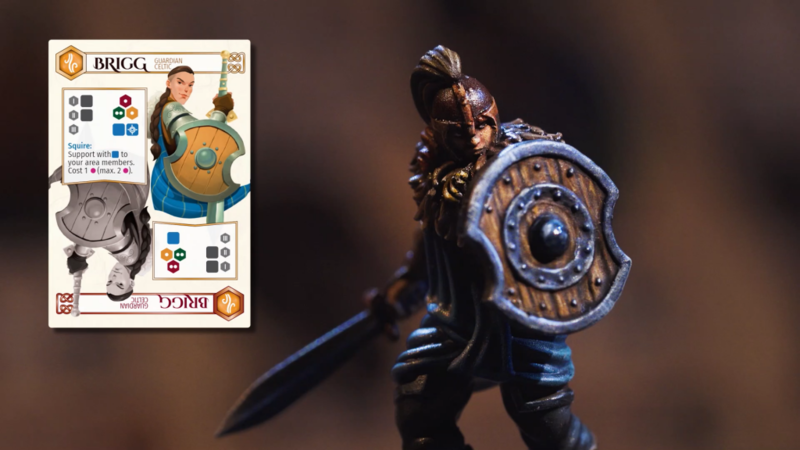 As you already know, the characters have specialties by class, and are better attacking certain types of terrain than others (in the picture above you can see a Celtic Warrior, specialized in fighting on plains). It is not the same to attack the plains or a mountain, and depending on where you are attacking, you will use one terrain die or another. And this is where the strategic load of the battle lies. A specific warrior can be very powerful fighting on plains, but it will be weaker fighting in other areas. 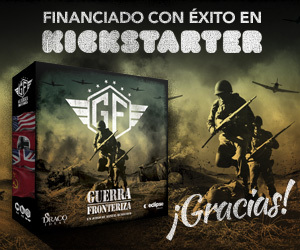 All terrain dice include at least one bonus, so you can always get one success regardless of the terrain. But it is not the same to have a 16% chance of success than a 50% chance. 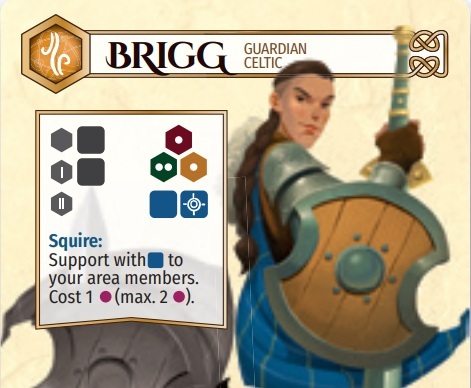 If you observe the dice from the image above, if our Celtic Warrior attacks a plain tile, she will use the brown plains die, which has a higher chance of rolling her guild’s symbol (the one next to her name on the card), as opposed to attacking forests or mountains. And if you have party members in your same tile (up to a maximum of two more), they can support your character’s attack by adding auxiliary dice to the roll. 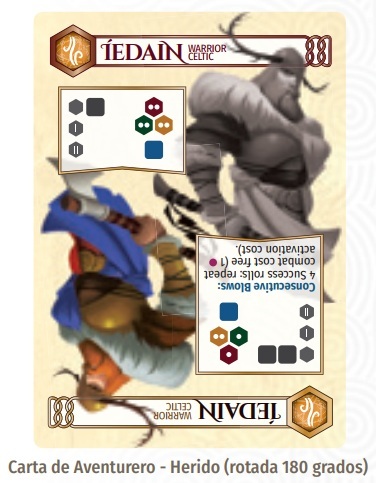 The attacker get more Hits than the defender: The defender suffers damage, rotates its card and is weakened as a result. Each adventurer can suffer up to two damage (wounded and knocked down). The attacker and defender get the same number of Hits: In this case the defender has endured the attack. The defender gets more Hits than the attacker: In this case, if the defender can attack that range, it automatically deals damage to the attacker.